The razor clam is one of Britain's most prized coastal treats. If you can get your hands on some, and they can be difficult to find, Adam Byatt's method of grilling and serving with fennel, thyme and chilli is a great way of teasing out their evocative flavour. 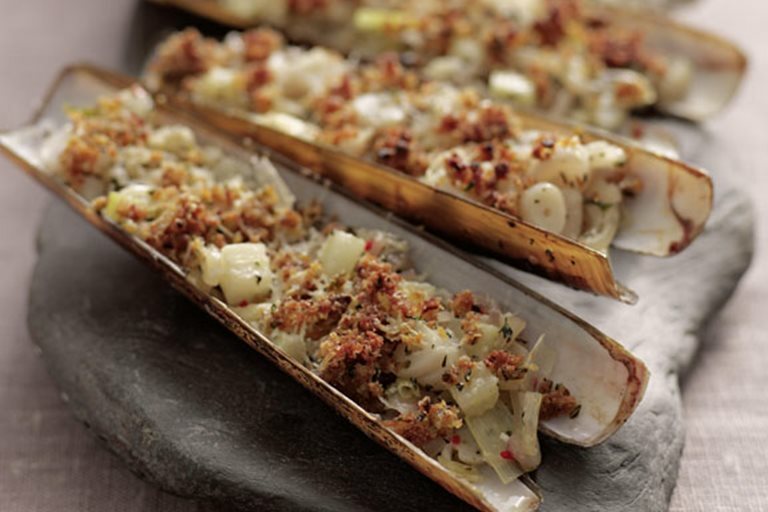 For more advice see our guide on How to grill razor clams.